Are you gearing up for a fun-filled Pi Day celebration? I am always looking for new and engaging ways to celebrate Pi Day with kids of all ages. 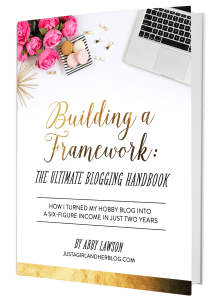 I even began this site about this time two years ago so that I could be ready in time for Pi Day! 🙂 Since then I’ve gathered tons of fun ideas, from simple games and art projects, to challenging math investigations. But today, I want to share a SUPER simple and fun Pi Day card game that you can play with kids of any age and ability! Now, I just want to be clear from the start: this game involves the number pi, but does not focus on a specific math skill. It’s simply a fun, pi-themed game. I would encourage you, however, to start by learning about the number pi with this hands on investigation. This will show your kids where this number comes from and what it means. Or if you have very young kids who aren’t ready for that yet, start by reading Sir Cumference and the Dragon of Pi as an introduction and conversation starter. 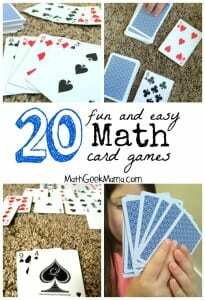 Then when they’re ready, you can enjoy playing this math card game together! To set up the game, you will need a deck of cards with tens and face cards removed, except Ace, which represents 1 and Jack, which represents 0. You may also want to print a copy of the number pi for players to reference (especially younger kids who don’t know may digits of pi). If you’d rather make it more challenging, play without it and require players to have the digits memorized. Shuffle the cards sufficiently and deal each player 7 cards. 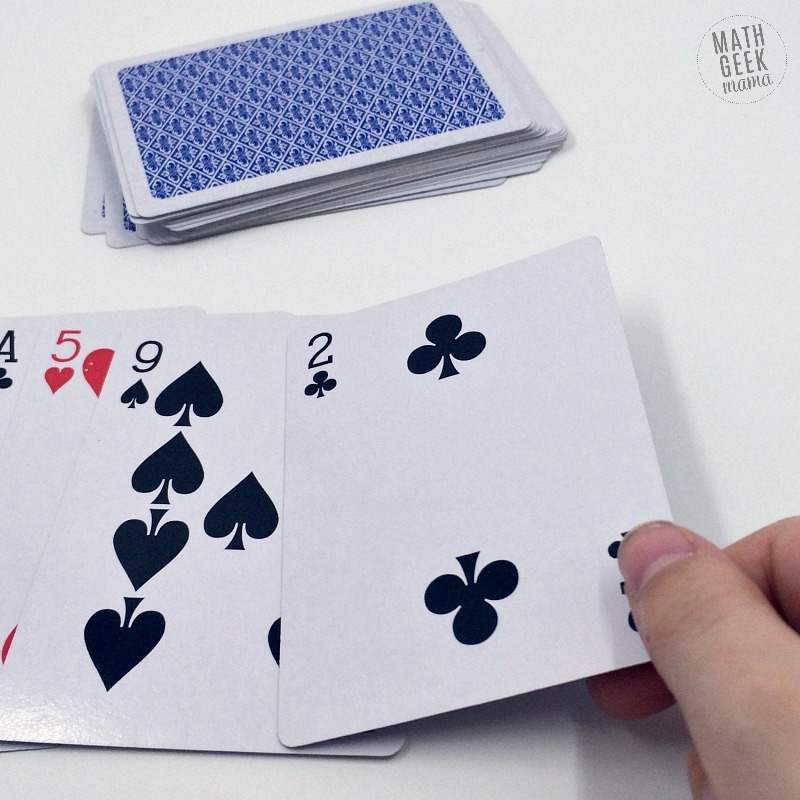 The object of the game is to be the first player to play all the cards in your hand. Place the rest of the deck face down in the middle. The first player then tries to play a card from their hand. In order to play a card, he/she must play the next digit of the number pi. Therefore, the first player must play a 3. 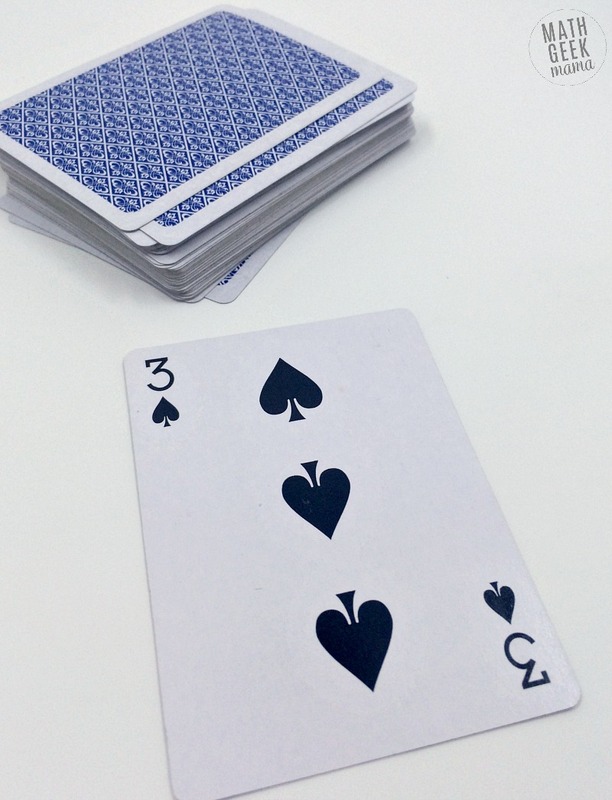 If the player doesn’t have a 3, they draw a card and it is the next player’s turn. They then must play a 3 to begin the digits of the number pi. Again, if they don’t have a 3, they draw a card and play continues to the next player. Once someone plays a 3, the next player must play a 1 or draw a card, then a 4, and so on. The first player to play all of their cards wins! Or, if no one can play another card, the player with the fewest cards remaining wins! Again, if you’re playing with young kids, I would suggest printing a copy of the digits of pi as a reference (or writing them on the board or a piece of paper). However, if you really want to challenge older kids, require the game to be played from memory. Players can then challenge each other if they think a player has played the wrong number. If they were correct with their value, the challenger must draw an additional 4 cards. If the challenger was correct, however, and the value was wrong, the original player must draw 4 cards. Again, the game ends when a player plays all cards in their hand. (Or if no one can play any more cards, the player with the fewest cards remaining wins). 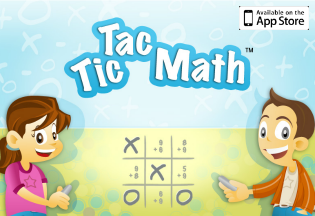 So while this game doesn’t require calculations or mental math skills, it can help sharpen students’ focus as they pay attention to what’s being played, and increase memorization skills as they learn the digits of pi. Plus, it’s just a fun card game to play to celebrate Pi Day! 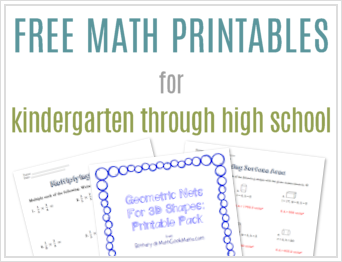 So I hope you and your students enjoy this, and if you’re looking for even more Pi Day Math Ideas, check out this HUGE list of my very favorite ideas. There’s something for everyone! Great idea for a game! You can also use Uno cards. Thank you! Great idea! Our PTA will be using this card game for one of our STEAM night activities.